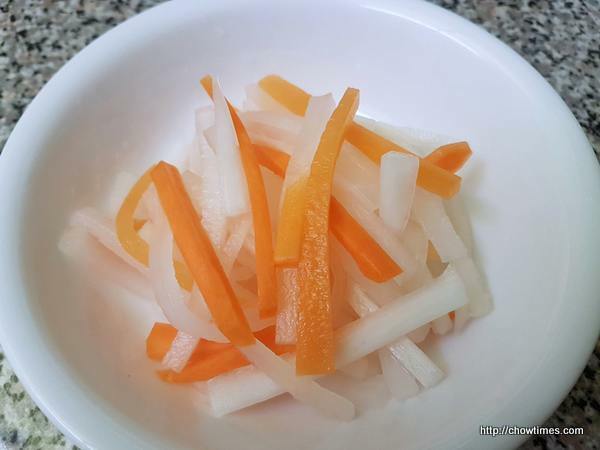 Cut the daikon and carrots into match stick size. Place them in a large bowl. Sprinkle with 4 teaspoons of sugar and 2 teaspoons of salt. 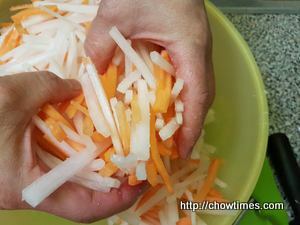 Massage the daikon and carrots with your hands gently to coat well with the salt and sugar. 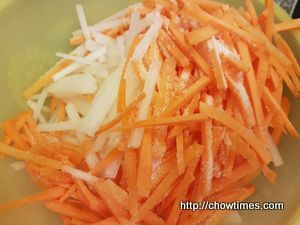 Continue to massage until the daikon and carrots begin to soften. 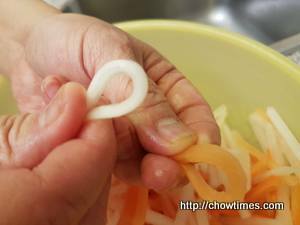 The daikon and carrots are ready you can bend them without breaking. 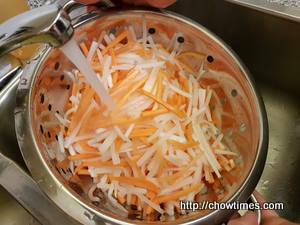 Transfer the soften daikon and carrots to a colander, rinse with cold running tap water to wash off the salt and sugar and drain well. 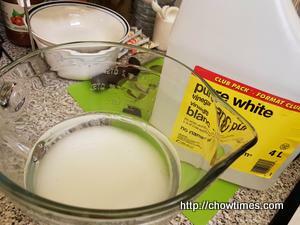 In a large bowl or 8 cup pyrex measuring cup, mix together 1 1/4 cups sugar, the white vinegar and the warm water, until the sugar dissolves. 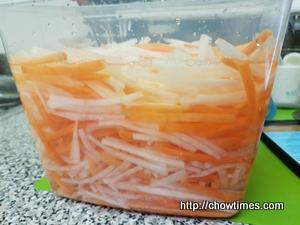 Pack the daikon and carrots tightly into clean jars or a large container. 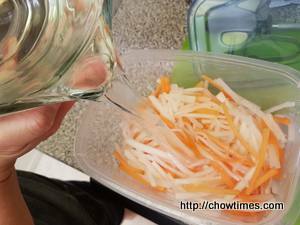 Pour the pickling liquid into the jars and make sure the liquid covers the daikon and carrots. Let the pickles sit in the refrigerator for at least a night before eating to allow the flavour to develop. These pickles last a month in the refrigerator.